To help you make 2012 your most successful year yet we’ve put together a very special consulting package for you. 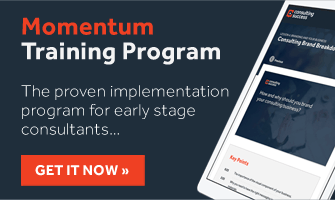 This package will help arm you with the skills, knowledge and techniques to become a more successful consultant. During this limited time special, you can get our 2 most popular consulting courses for one low price. Your order will also help to support entrepreneurs in developing countries and help alleviate global poverty. To a year of great success!